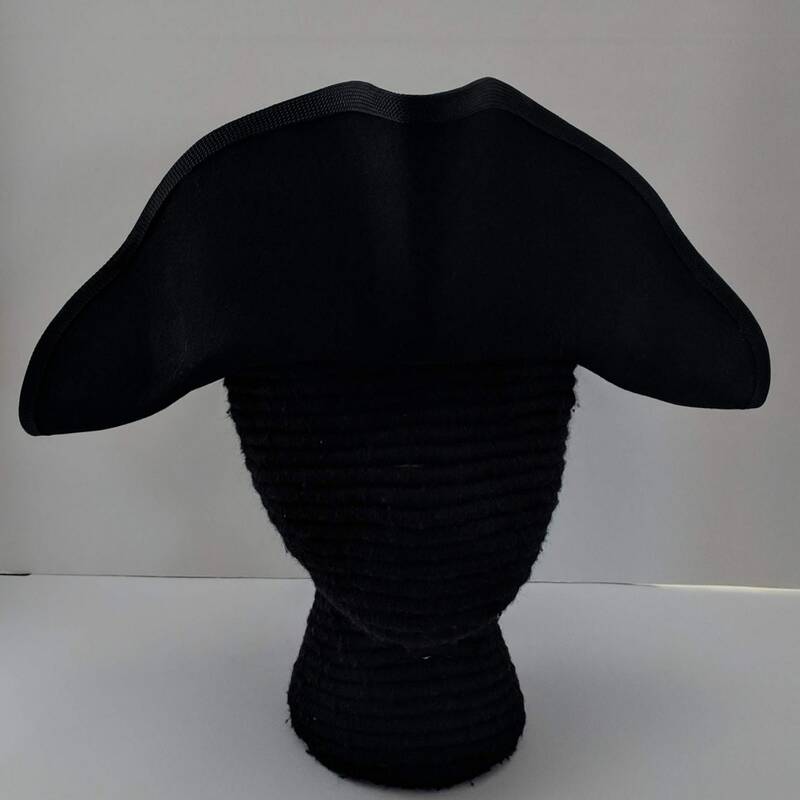 Unlike our other tricorns, this one has a higher front as seen in the Yorktown painting. 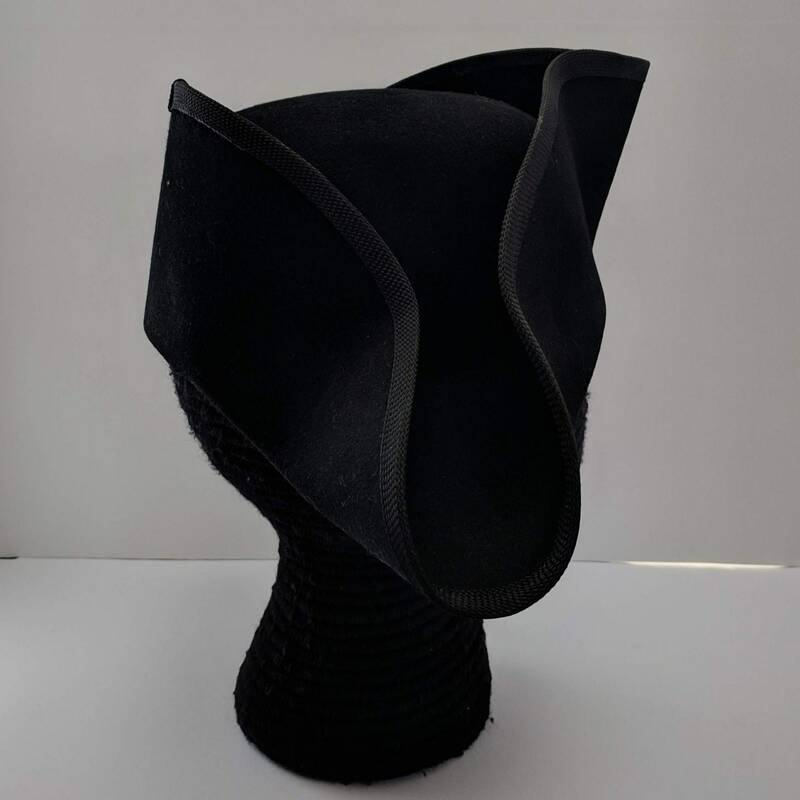 This three cornered hat is made from a top quality wool felt hat blank. 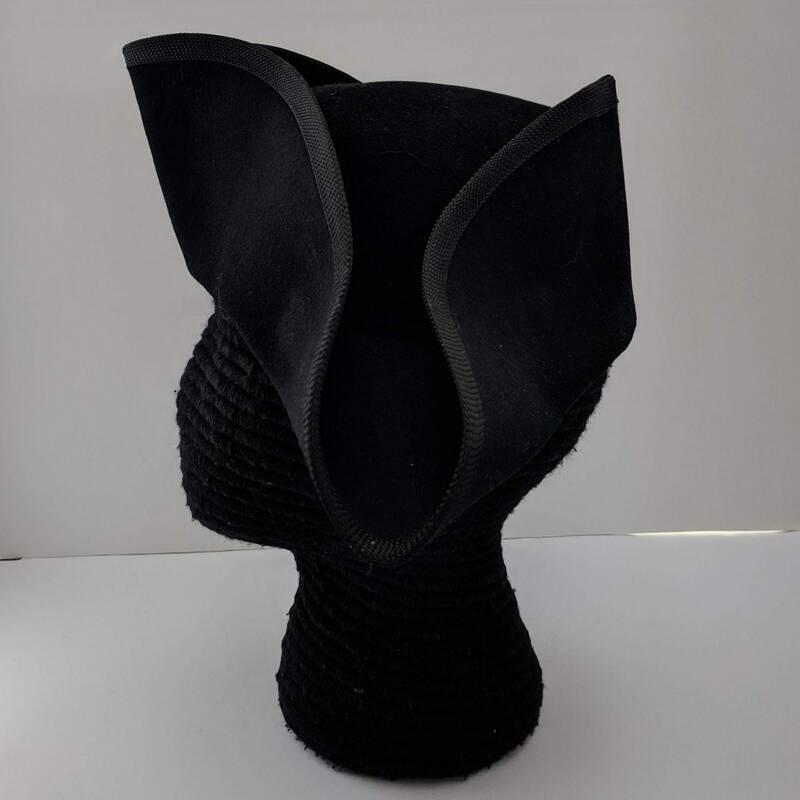 The edges have been trimmed even and edged with black hat tape. and the sides are held up and glued to stay in place. 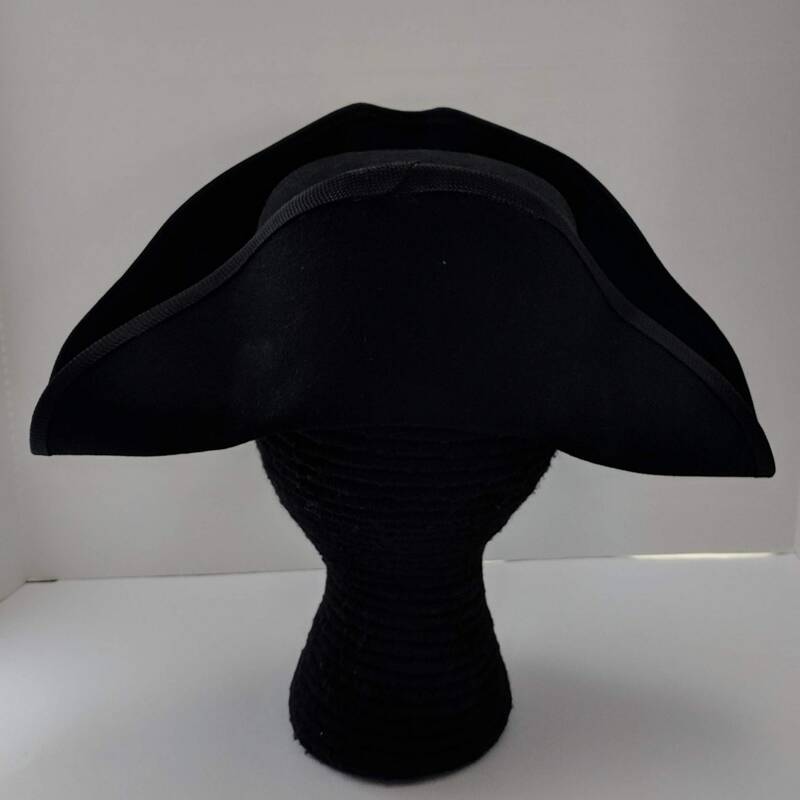 This style of hat was worn by both civilians and military during colonial times. 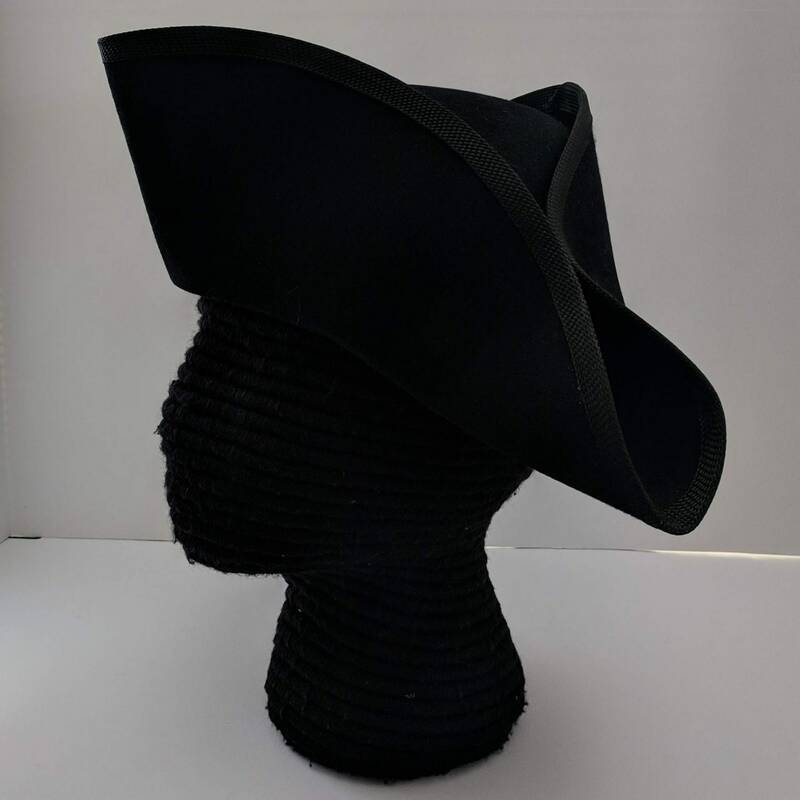 Wear it plain or attach a cockade to show your alliance. See the Cockade and Rosette section for a multitude of choices. 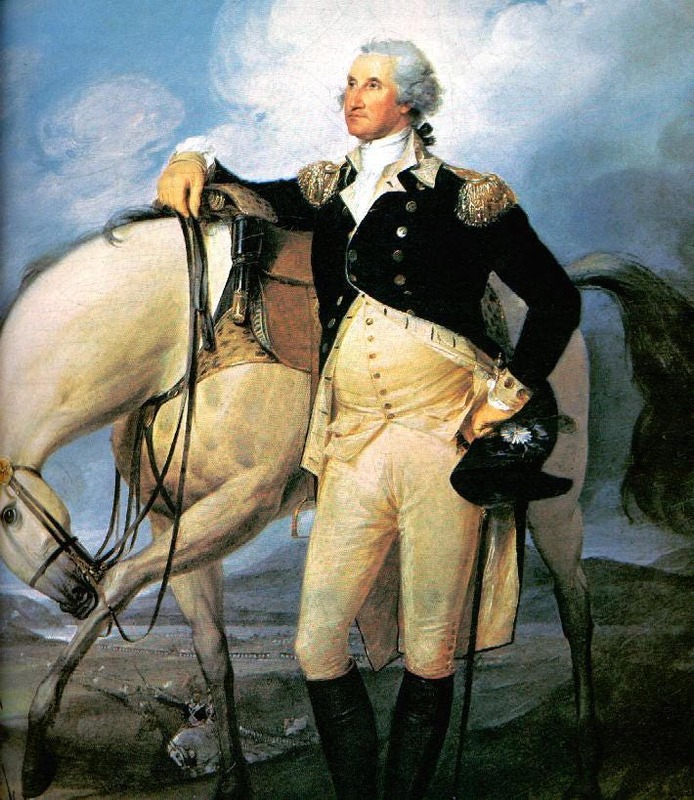 We have attached a picture of Washington holding a tricorn with an American alliance cockade for reference. 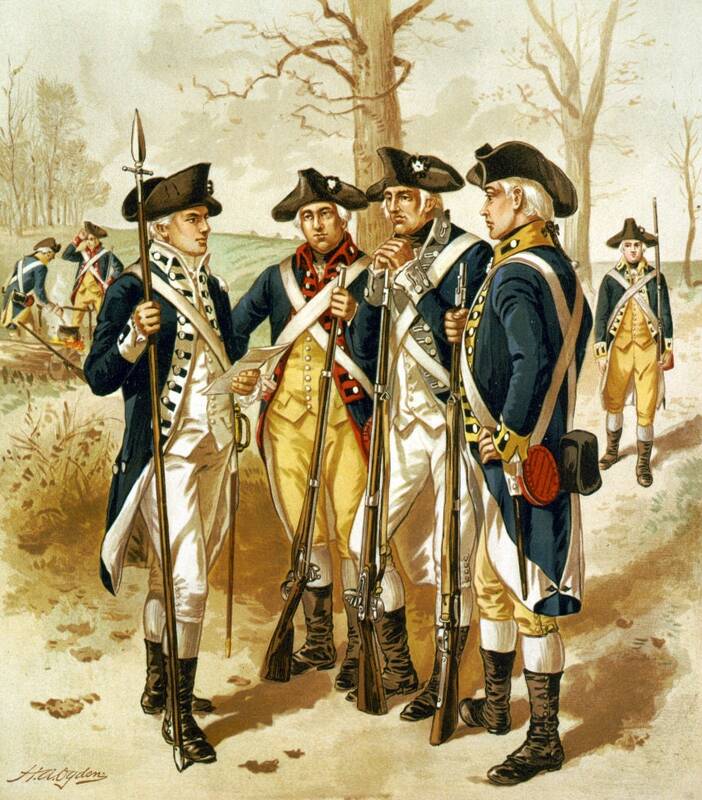 Small - up to 22 1/4"
Medium - up to 22 5/8"
Large - up to 23"
XLarge - up to 23 1/2"
2Xl - up to 24"
In 1780, the military cockade system was changed from the officer's colors (red, gold and green) to black with a white center. 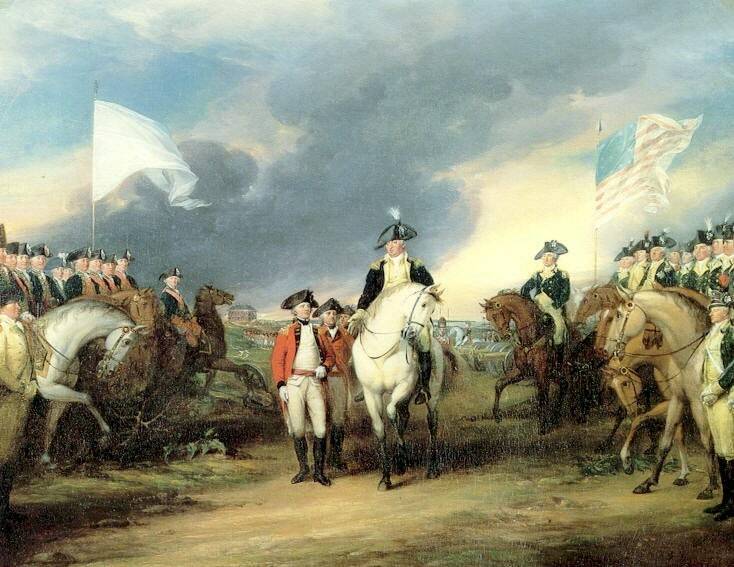 France had entered the war against Britain in 1778 and France’s cockade was white. 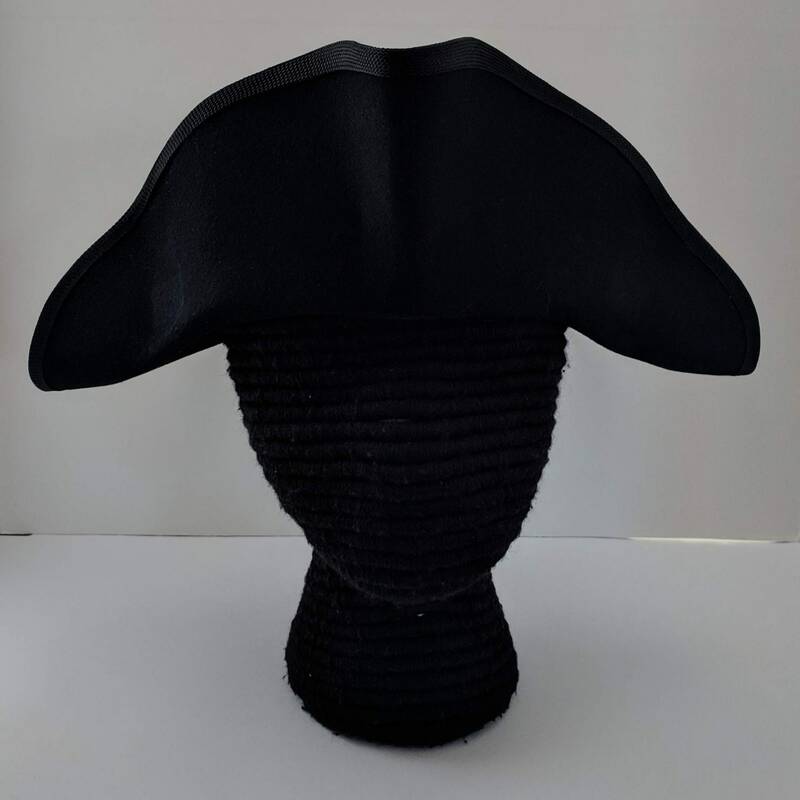 Thus, as a symbol of the two nations’ alliance, George Washington established that the American cockade would be an Alliance Cockade – black with a white center. Many of the French troops likewise wore an Alliance Cockade of white with a black center. 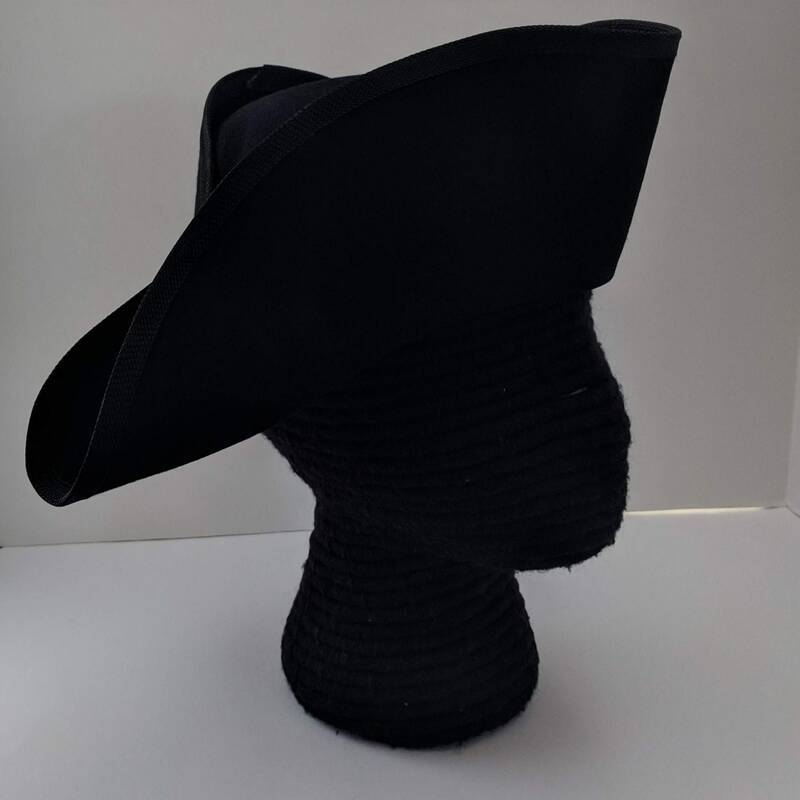 Convo us if you want to custom order a tricorn with a French Alliance Cockade!